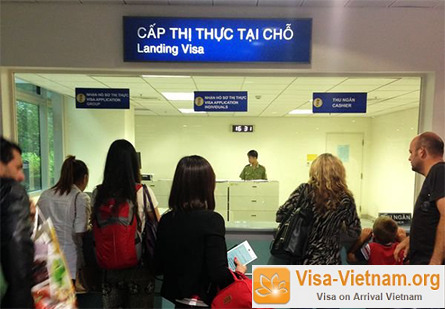 WHERE TO PICK UP VIETNAM VISA ON ARRIVAL ? 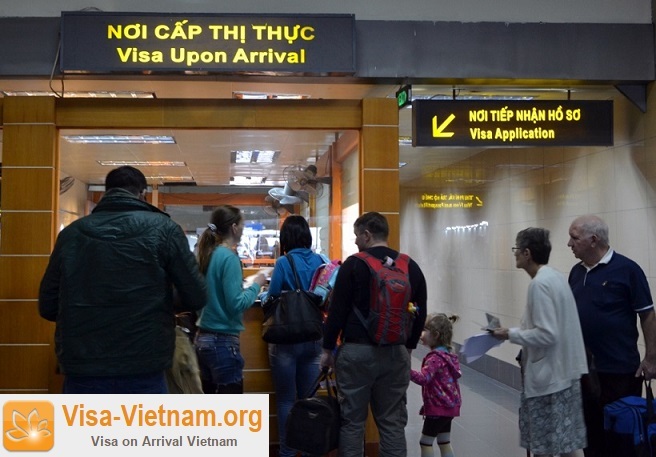 At Ho Chi Minh City (Tan Son Nhat International Airport) the VOA window is situated over to the left as you enter the immigration hall, at the far end. Do not join any queues for Immigration Control. The counter itself is sign-posted - LANDING VISA. When you get to the Landing Visa (VOA) window, be prepared to hand over your passport, ONE completed copy of Form N1, the entire letter of approval and ONE passport size photo (the officer will staple your photo to the form if not already attached). You should then go and sit down. Even with few people being processed do not expect passports (with the visa attached) to be returned in the order that they were presented at the window. When your visa is ready, your name will be called (do keep your ears open) and at the same time your passport held up to the window with the photo page showing. You then pay the processing visa fee - U.S.$25 for single entry or U.S.$50 for multiple entry visa. Vietnamese Dong or U.S. Dollars are the preferred currencies. Once you have paid, your passport will be returned to you, along with a receipt for your payment. Be sure to check the newly issued visa for any errors while still at the window. You then go to the immigration control posts to be processed in the normal way. Baggage reclaim and Customs are downstairs. 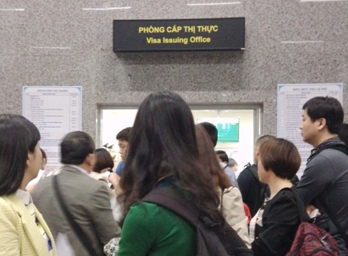 At Hanoi city (Noi Bai International Airport), the Visa On Arrival counter is situated opposite the immigration desks. The signage is unclear if there are lots of people. You must hand your passport and documents in at THE RIGHT HAND SIDE. Then proceed to the left hand side and wait while they process it. If it is busy, keep your eyes and ears open as they will call out your name or hold up your passport / photo. At this point you pay. If you are processing multiple passports, you will receive 1 pink receipt for all, the visas will already be in the passports. Check the visas for errors while still at the window. 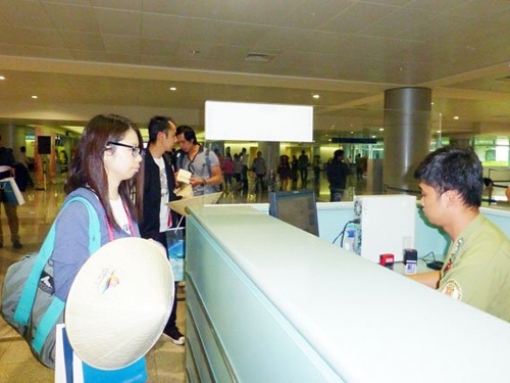 After receiving your passports back, proceed to the 'foreigners' immigration queue with possible delays here too. At Da Nang city (Da Nang International airport) follow the exit signs. As soon as you enter the huge hall it is very easy to find the Visa On Arrival window - it is on the left hand side and is clearly visible. The process is reasonably quick (approximately 15 minutes with all necessary paperwork completed before landing) but do bear in mind there is no guarantee it will be always be the same. After receiving visas / passports back, progress onwards to immigration control. Check out airport and enjoy your trip. Please download Form N1, fill and sign then hand over with your passport, visa approval letter to get visa on arrival. This form is available on arrival but you can prepare to save time on arrival.